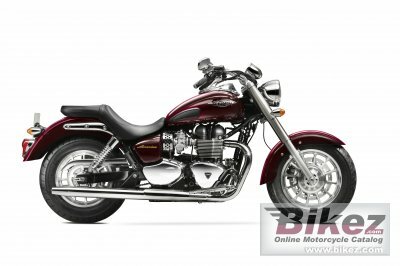 2014 Triumph America. Picture credits - Triumph. Submit more pictures. The America is engineered around a unique engine so you get a truly authentic ride. One that connects you to Triumph�s long and rich cruiser heritage. Ask questions Join the 14 Triumph America discussion group or the general Triumph discussion group.